Hudson Yards, Revisited, and Open! Not a week before the launch (March 15th), I sat on the 45th floor of 10 Hudson Yards (opened nearly 2 years ago at 30th and 10th avenue) in a board room, listening to a Related executive begin what he called his “swan song” presentation. The Jets stadium flop nearly 15 years ago set the stage for Hudson Yards, enabling the rezoning of 42 city blocks. The first phase, the Eastern Yards, is essentially completed, from 30th to 34th streets, between 10th and 11th avenues. It is staggering. But why did I go to a presentation when I knew that I would be there drinking bizarrely shaped cocktails a week later? Because I am totally fascinated by the creation of a new neighborhood from scratch. Not just that, but that it happened in Manhattan. It’s remarkable. It gives me a chance to think about what it takes to have the vision to see something so massive from the drawing board to reality, the biggest construction project to happen in Manhattan in nearly 100 years. Sure, the New York Times or the Post, are naturally going to be the places where critics argue about the architectural design, or whether the tax deal was structured fairly to the city (I think it was, more later). Does it matter much whether people like it or not at this stage? I’m not going to pretend like I know what people are going to think decades from now. Even the awful buildings of the 70’s and 80’s here, the classic “post-war” disasters scattered across the city, could end up being well-thought of at some point. If you look at the uniformity of Rockefeller Center, maybe you can understand why Steve Ross of Related was WAY too afraid to go that route. The risk was not small that some architect of the moment designed something tragically bad that would be here forever. I can think of a few examples that have been built in the past few years that I wish had stayed ideas. No, in this case, it was smarter to diversify across a variety of different architects’ visions. And to let those visions compete. The Launch would be the ultimate test of how the public would react. The Jawas have arrived! I mean, the Culture Shed is here. As I mentioned, I was fortunate to be in a group of residential real estate people invited to attend the pre-launch on March 14th. I would guess that there were at least 5000 people there- so maybe not the most exclusive party in the world- but the energy crackled. They created quite a buzz. I heard it took a crew of 15,000 people on site to get the opening to happen on time, apparently- construction people, gardeners planting items, etc. I also heard that every single catering company in the city was enlisted to have enough staff for the pre-launch. Hundreds and hundreds of temporary staff who showed people around, brought people from the mall to 35 Hudson Yards (the newest residential building on 11th avenue and 31st/32nd). As I walked through the sales gallery and tried to concentrate through the DJ’s musical selections, I thought to myself, “how long ago did I first sit in a REBNY presentation about Hudson Yards? Probably 3-4 years ago, no?” I looked back when I got home. Nearly 6 years since I wrote about it the first time. November of 2013. It’s funny to go back and read what was on my mind then, more about the esoteric nature of this vision, so far into the future at the point. Walking around the Mall, into park (which may be called Bella Abzug Park) between 10th and 11th avenues, it felt odd but not entirely unknown. Except that my reference point was how I felt during “Her,” as they toured around Pudong in Shanghai, a place that remained just as otherworldly when I visited in person in 2015. This neighborhood is somewhere we’ve never been. The views over Hudson Yards, from the 65th floor of 35, were an entirely different take on Manhattan. There are so few buildings this tall, and to have them all concentrated is incredibly bizarre. But I love it. Look, I understand why people are reluctant to like Hudson Yards. There is a real competition for hearts and minds between pretty much the entirety of the architectural community vs Robert Stern. We can have Hong Kong or we can have Paris. Do we want to destroy the old, or do we want to be stagnant? It seems hilarious to be so extreme, since we know that neither is going to be the result. We have lots to preserve in New York City, and lots not worth saving. And most of the good stuff will be saved, and some junk will be saved, too. And no one will be perfectly happy. Think about the Highline itself, and the heroes that developed it, saved it, accidentially creating one of biggest drivers of real estate development in the history of Manhattan- All because there was a rail built in 1930 to delivered cattle and goods all along the West Side. Without the Highline there wouldn’t have been Hudson Yards. 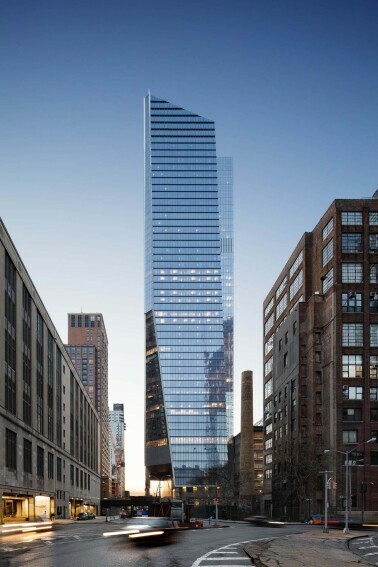 The area where Hudson Yards is now showed zero flatline growth for decades, and only through the Highline redevelopment was the area able to capture the imagination of major developers. Fast forward to the Jets Stadium failure, on the back of which the Bloomberg Administration worked with Related to raised over $1billion in tax financing to get the 7 train built, and the entire project moving. Really smart people doing public/private partnerships. That the city allowed for such dense construction enabled the new parks, the new Hudson Boulevard. I don’t have to rehash the vision, but it wouldn’t have worked just as commercial space, and wouldn’t have worked just as residential. It may not play out exactly as they envision, but it seems they found a great combination of the two to make it a 24/7 new neighborhood. Steve Ross wanted certain buildings to be for non-financial firms (such as 10 HY), and some to be more traditional tenants. And it happened. Related convinced Coach to become a tenant by buying their old building at the highest appraised value, and selling them a portion of 10 HY at his cost. 35 Hudson Yards will feature the new Equinox hotel, and is launching 12 of these in the next few years across the world. The square footage that is rolling out at Hudson Yards now and over the next 2-3 years compares to a the entire offering of some Central Business Districts of other cities in the US or abroad. There is likely to be the new second Hudson River tunnel completed over the next 5-7 years, if the funding comes from DC, which will allow for more flow of traffic into the refurbished Penn Station. Major, Major Moves to make this happen. I hope that someone will write a story of how it all came together. Dealmaking at its finest. I’ll end with a very quick discussion of residential pricing. 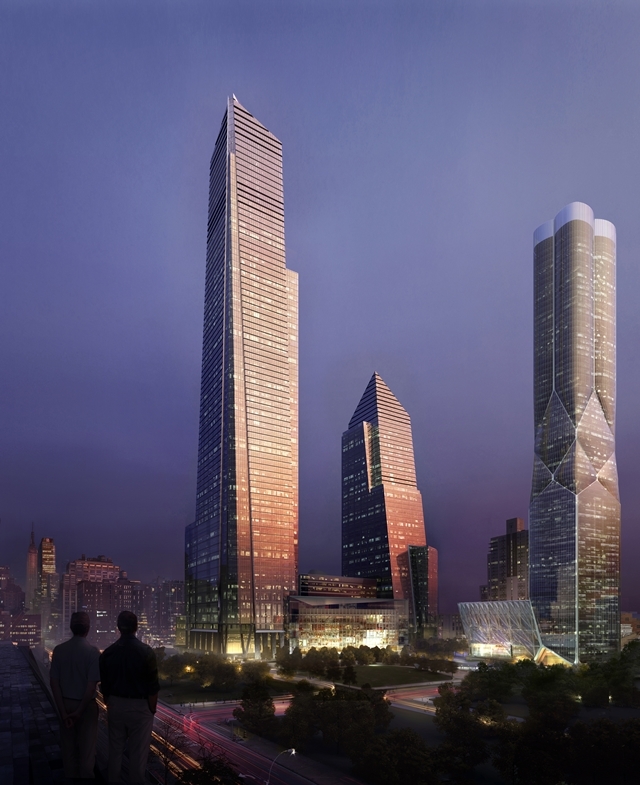 They are asking over $3000 per square foot for apartments inside of 35 Hudson Yards. These apartments start on the 50th floor, give or take, all with the magnificent views I alluded to. Even with a multi-year tax abatement, monthlies are in the $2.67/square foot (and $4.46/sf without). The periphery of HY is also full of developments, rental and condos, rolling out over the next few years. The demand for these properties is already there. It doesn’t feel like a stretch to say that once buyers can see and touch these spaces and the neighborhood, these projects will be a success, even at these prices. © 2019. The Harris Residential Team. All Rights Reserved.